Cleaning and renovations of headstones can reveal once more the beauty of your family memorial. At James Hilton’s we pride ourselves on restoring all headstones to a very high standard. 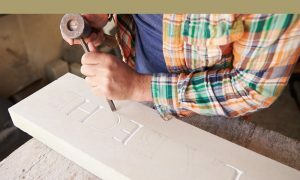 Whether your family memorial is made of granite, marble, limestone or another natural material our specialist team will renovate your stone back to its former quality to commemorate your loved one. Please contact us if you require renovation work on your memorial; where we can provide our expertise and honest advice, along with a free no obligation quotation. Please note all names have been blurred in the image below. To accurately cost the cleaning or renovation of a grave we always conduct a site visit. Please include the Cemetery and Grave number in the form below.